Catalogue > Cities: maps and sights of cities and villages > 5. Utrecht > Utrecht. Lutherse Kerk. Hieronymuskerk. 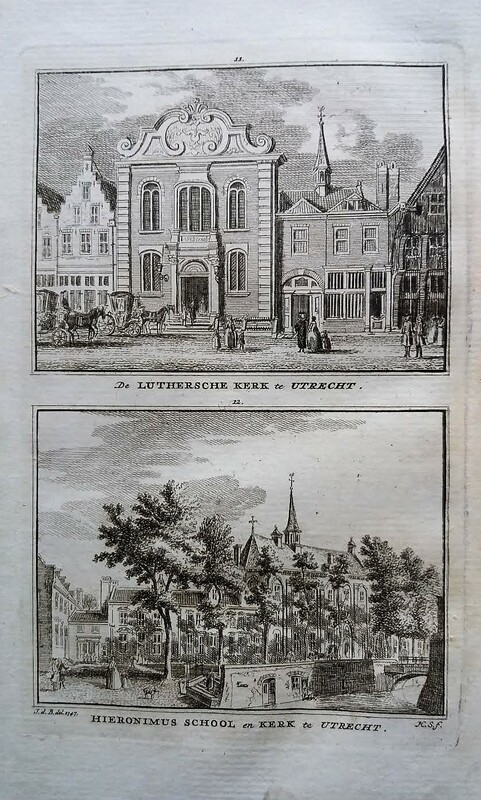 De LUTHERSCHE KERK te UTRECHT. 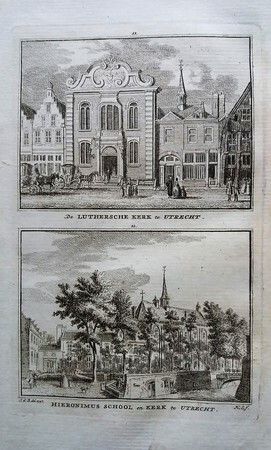 / HIERONIMUS SCHOOL en KERK te UTRECHT. Hoogte 14,5 cm. ; breedte 9,4 cm.